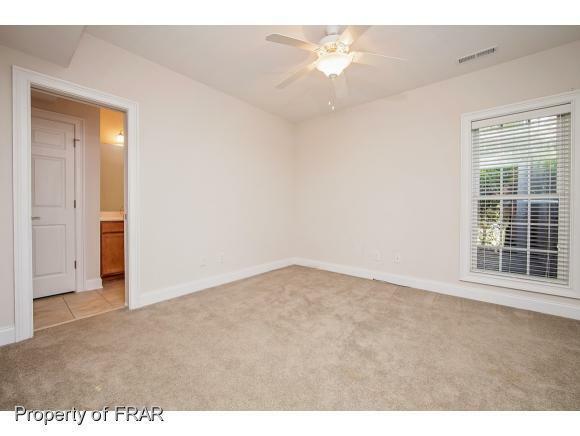 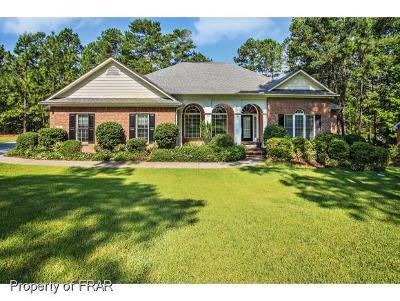 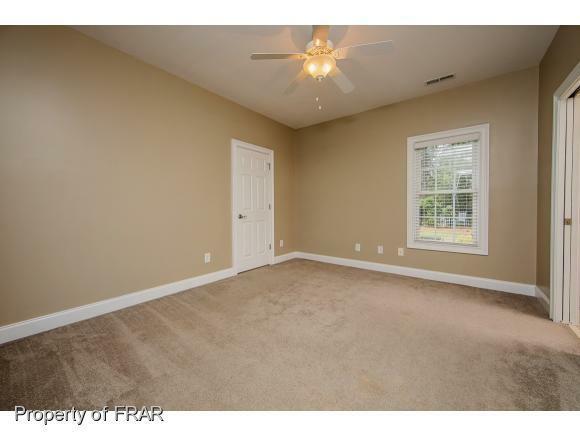 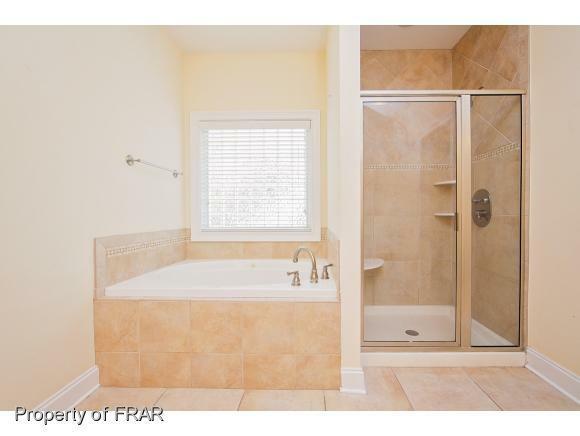 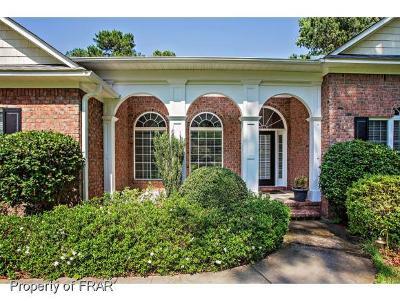 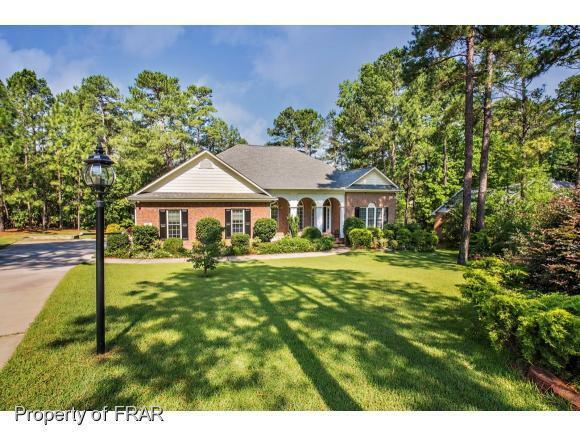 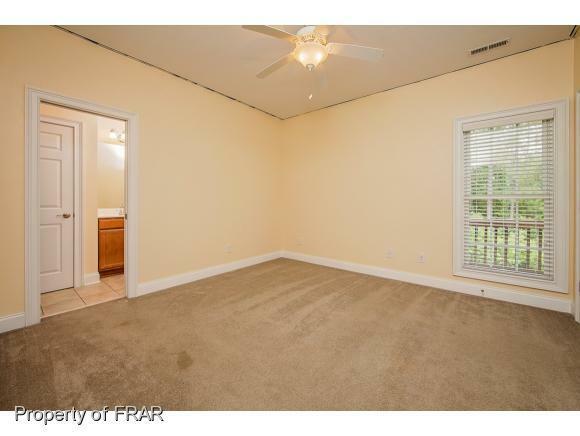 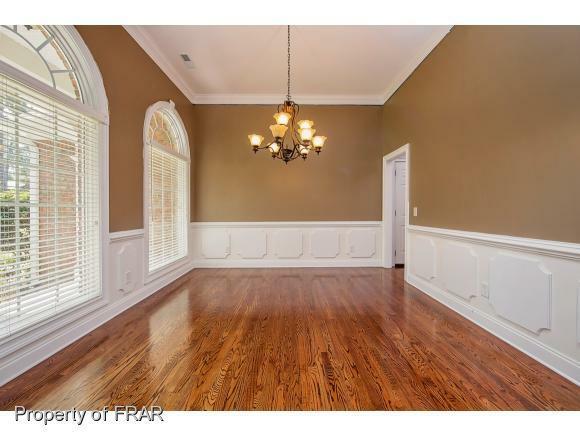 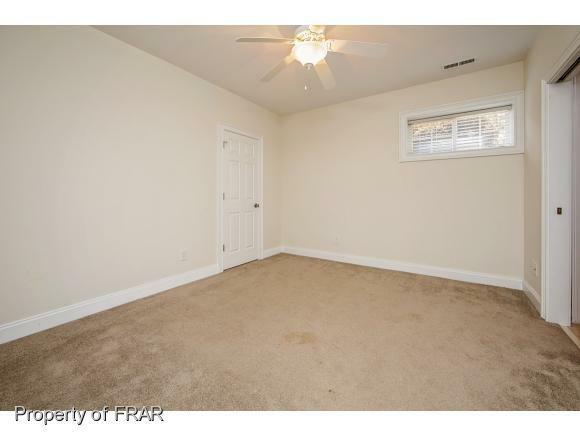 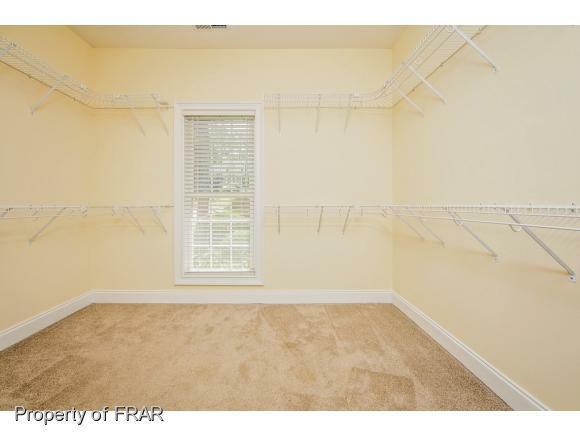 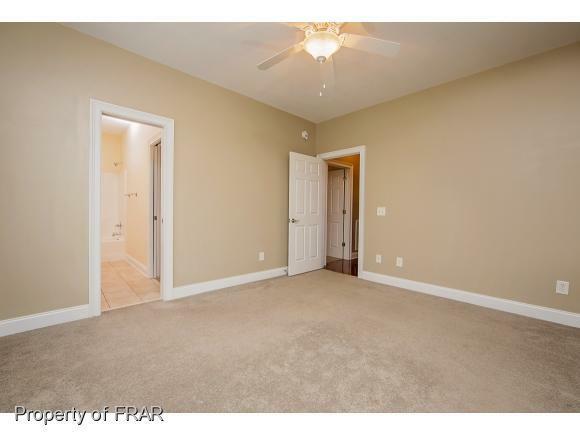 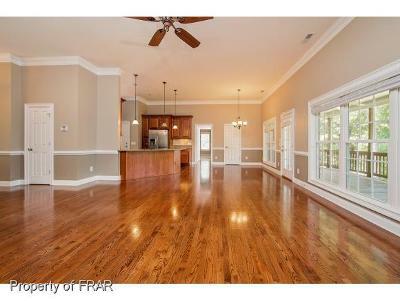 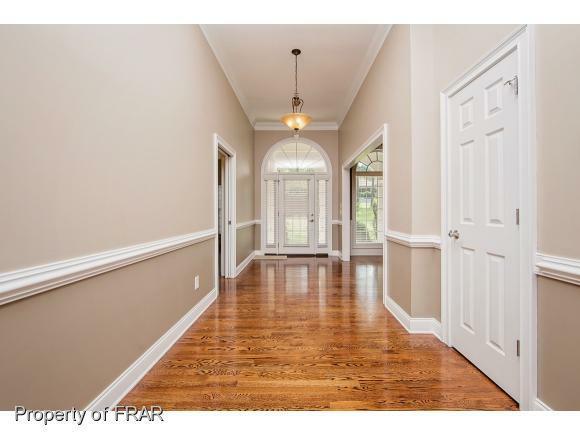 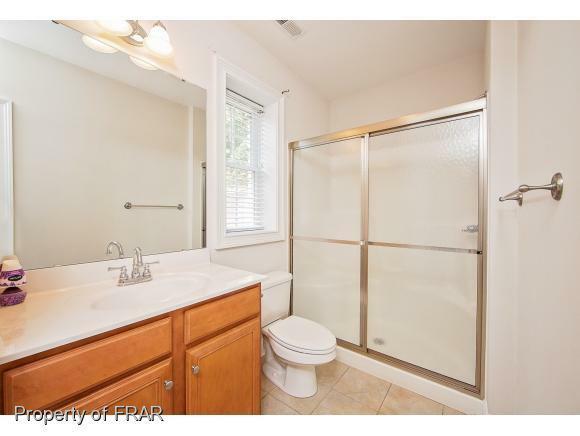 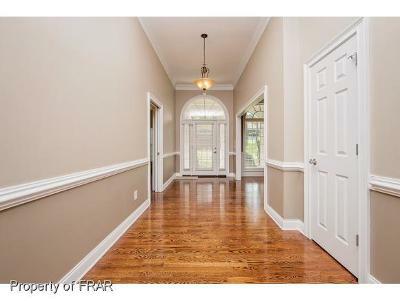 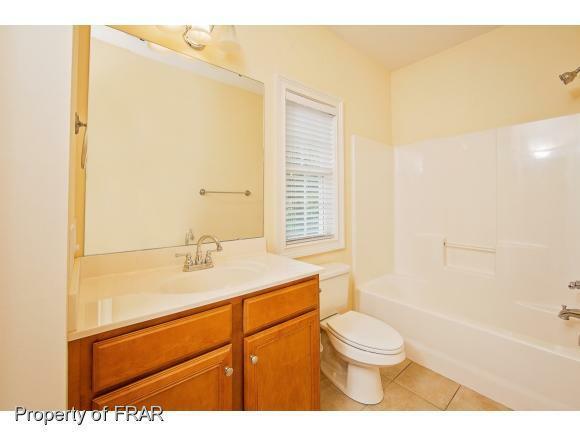 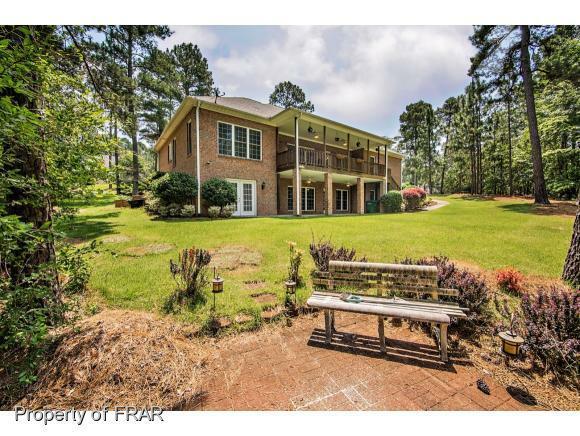 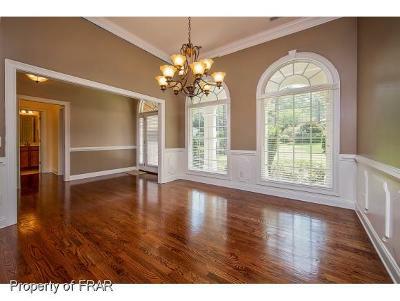 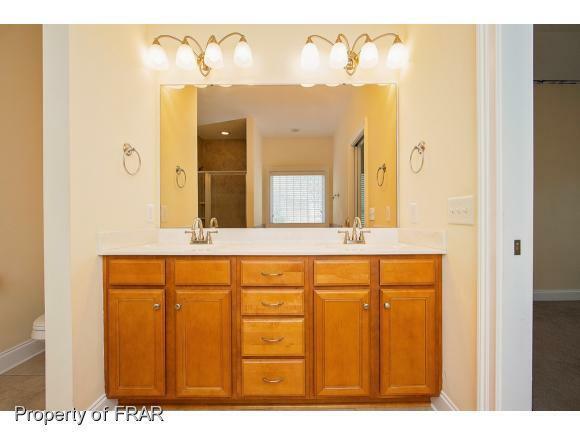 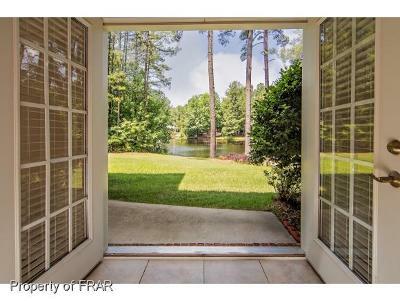 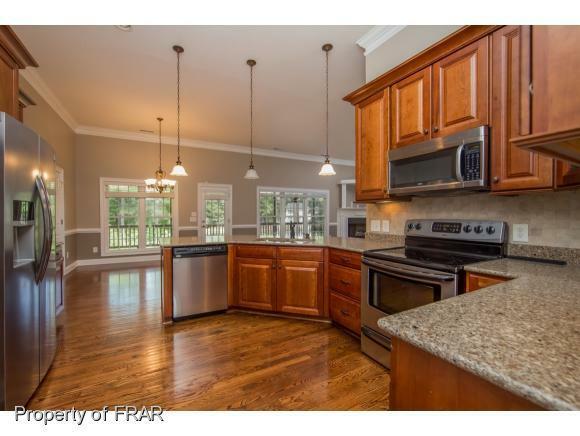 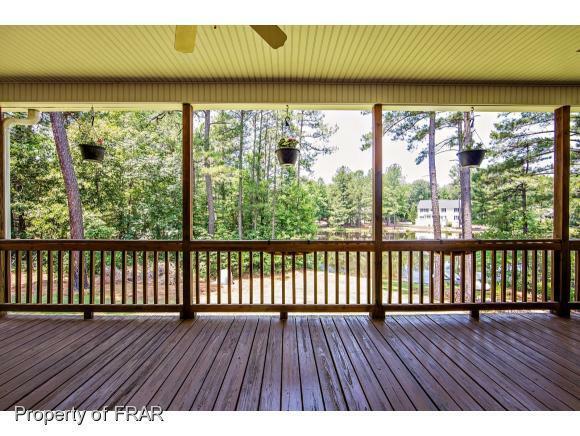 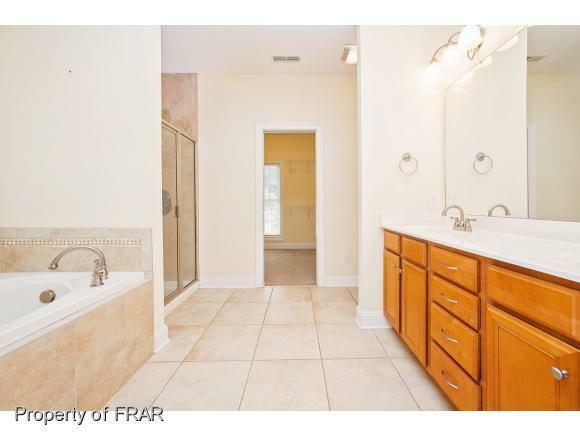 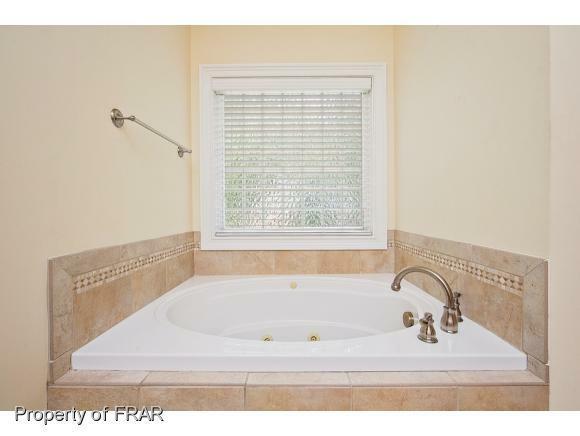 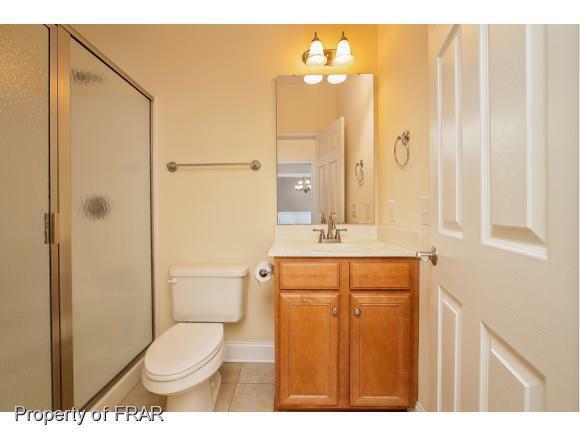 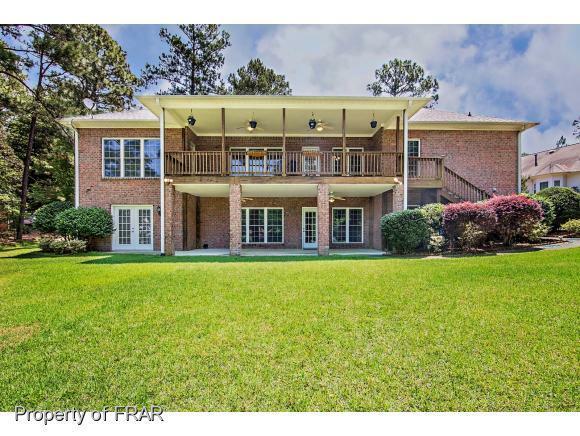 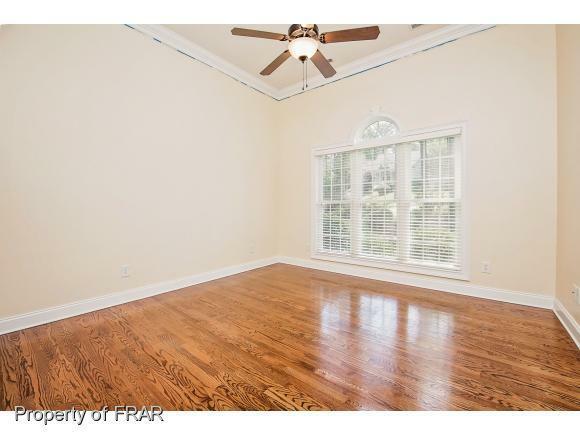 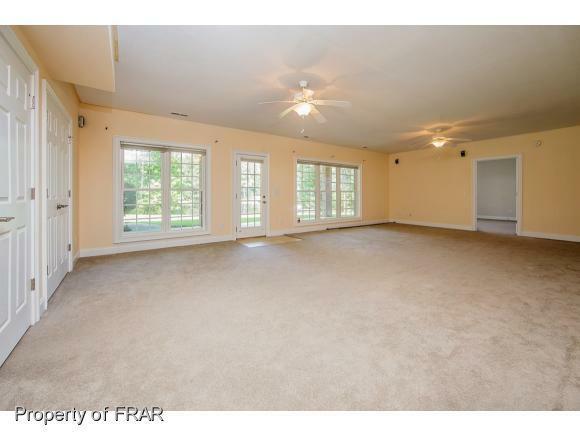 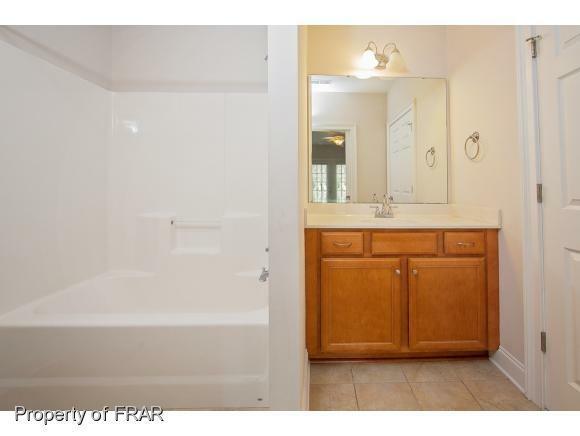 Premier Location near Lake Pinehurst on pond and private cul-de-sec. 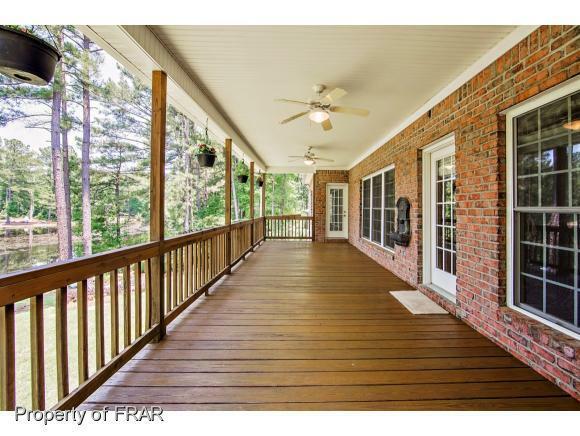 Wonderful porch across back of home with access from Great Rm, Kitchen and Master. 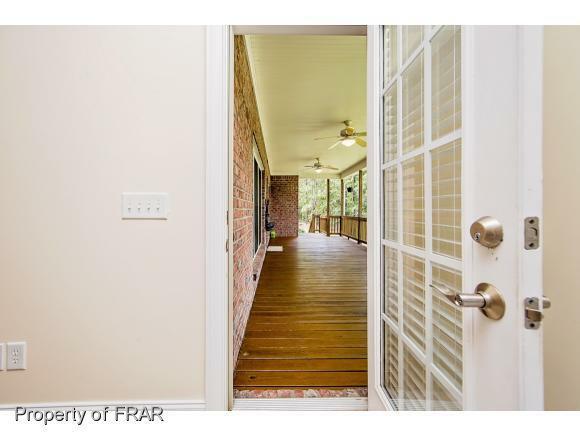 There is also a walk-out patio across back of home on lower level. 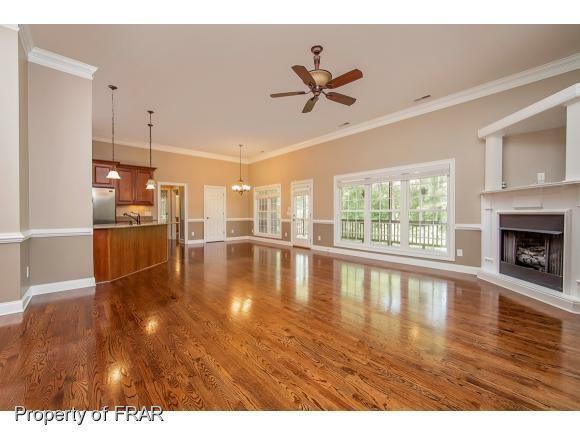 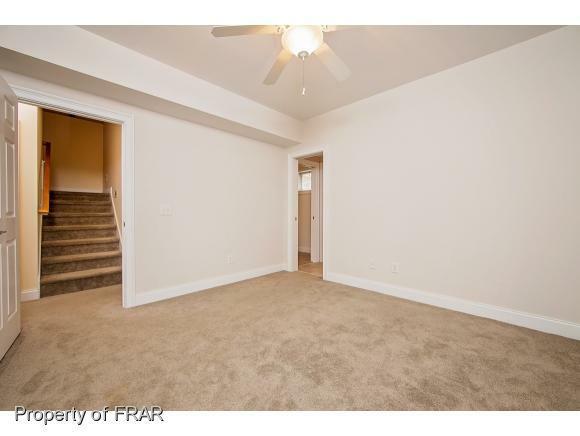 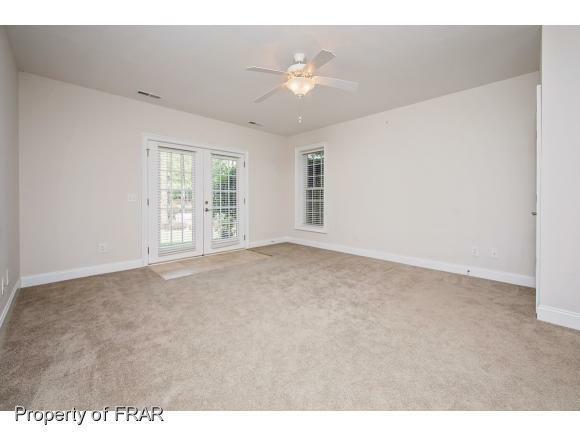 Real hardwood floors, granite counter tops and cherry cabinets in kitchen, split bedroom plan, coffered ceiling in DR, 11 ft' ceilings, oversized garage.Lower level with walk out basement that would make a perfect in-law suite or rec room or teen retreat. 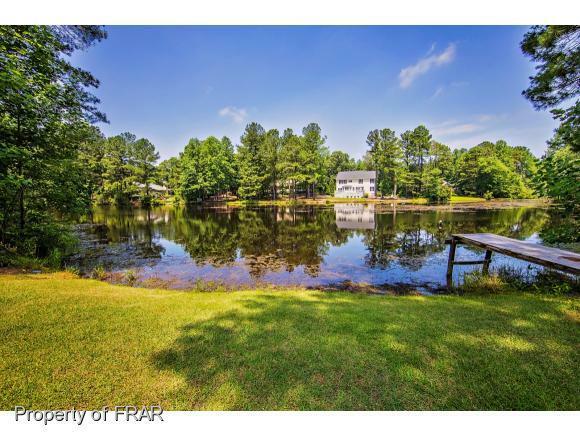 -Waterfront property provides private access to this scenic pond or large lower patio for relaxing and scenic grilling with family and friends or a private getaway. 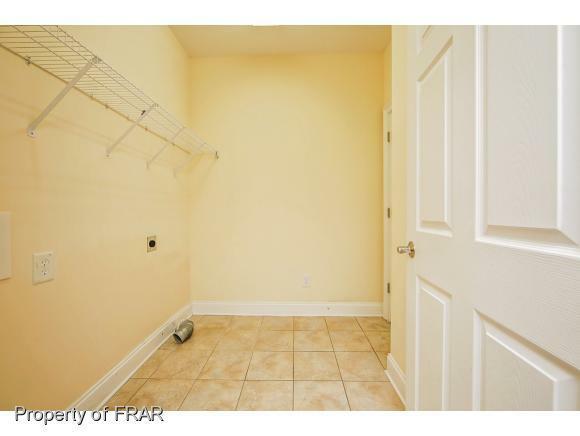 Inclusions: Refrigerator To Convey With Sale Of Home.